How do you make the Bohemian look work for your space? What is Bohemian exactly? The Oxford English Dictionary’s definition of “bohemian” is: “A native of Bohemia (a historical reference to a Central European area which includes the Czech Republic—Ed. ),” or “having informal or unconventional social habits.” The latter description of a nonconformist way of life has evolved into a specific style—which could also relate to fashion or decoration—that is full of multi-cultural references, avant-garde, and free-spirited. 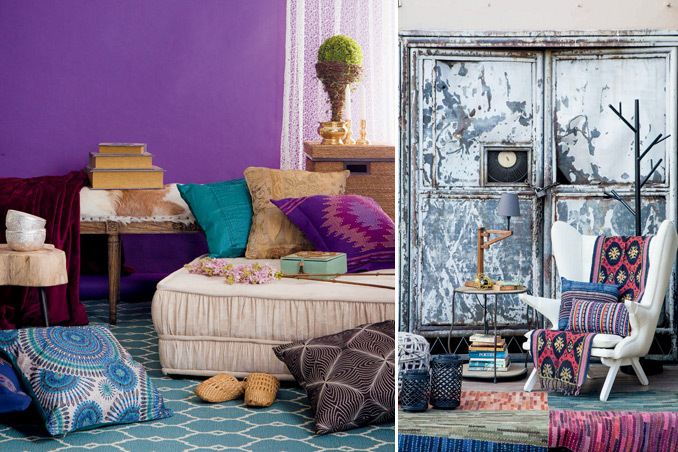 Here are two Bohemian inspirations that you may want to consider for your space. Picks and Styling by Tala Singson and Paula de Guzman. Photographed by Dairy Darilag. Sitting Editor: Issa Villar. Read the original article ("Bohemian Rhapsody") in the May 2014 issue of Real Living Magazine. Download your digital copy of Real Living on the Real Living App now! Log on to summitnewsstand.com.ph/real-living for more details.